Royalty club?? Wth is that? 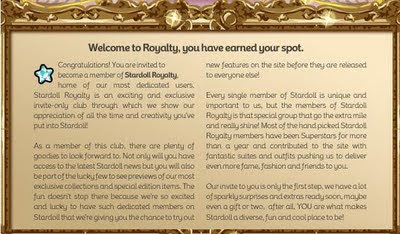 1-st when i saw this * Royal* invitation i thought OMG, I'm Elite, YAY i'm cool. BUT when i saw HOW MUCH members there were. 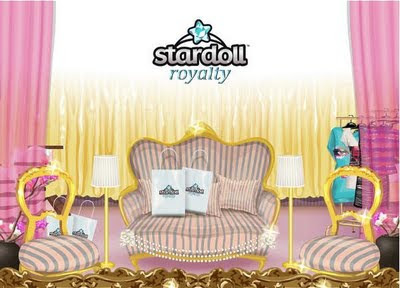 I thought that's sh*t. Stardoll promises different gifts to us, and it's kinda strange :S. I can't believe this..
Royalty Club over 60,000 members, duh? That's because people who were not invited found a cheat on how to get in. I agree I think it should be more exclusive with all the m oney people spend on this site... or maybe different levels. Like bronze, silver and gold. New Hotbuys and old glitch ??? Antidote 2 Hit or MISS?